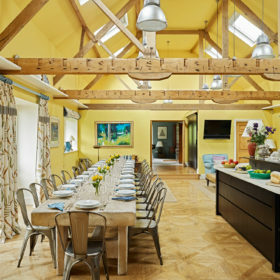 Chalke Valley House is fabulous, enormous fun. 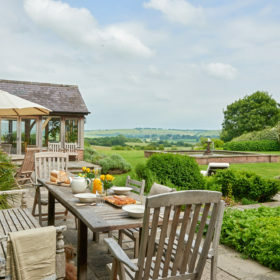 Sleeping 24 on the edge of the Dorset countryside, it offers eight acres of tamed, rolling beauty, a Med-style pool to splash in, table tennis and pool, a conservatory for afternoon tea and woodburners for banter and Barolo. Sadly, eventual departure is compulsory. It’s the sheer scale that grabs you. This is a vast exercise in homely opulence and grandeur. 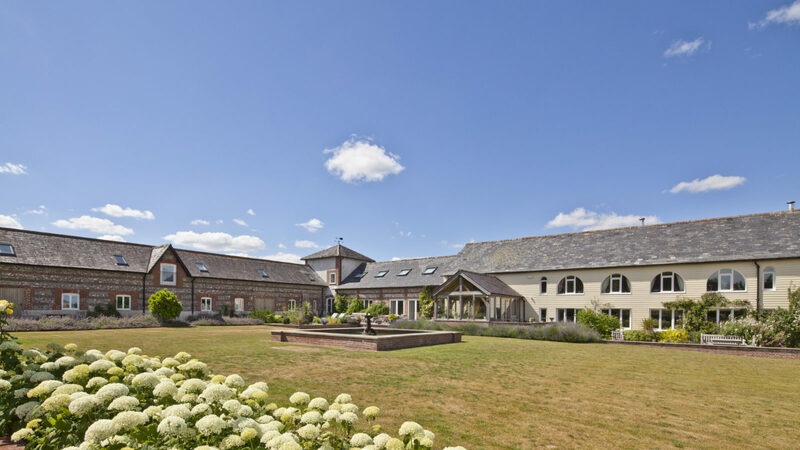 Sleeping up to 24 in eight bedrooms, Chalke Valley House gives you big beds to dream in, vaulted, beamed ceilings, eight acres stolen from rolling rural Wiltshire and a kitchen table the size of an ocean liner. 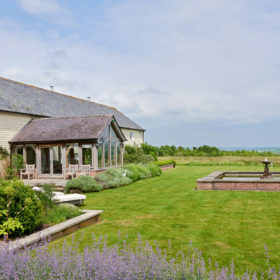 Chalke Valley House is big, but also beautiful. It begins in the hall, with its parquet flooring, books and art. Elsewhere, we have Farrow and Ball heritage paints, latch-and-brace doors, rolltop baths, eclectic bedrooms and homely fires. Not to mention the heated, walled outdoor pool. Squint only lightly and you could be in Cannes. It’s big and it’s beautiful but it’s not short on entertainment. 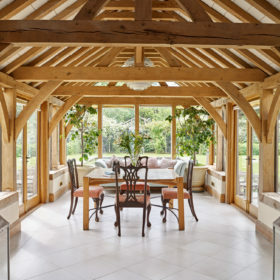 Take croissants and coffee or afternoon tea in the conservatory. Pile into the movie room with popcorn. Hit the games room for table tennis and pool. Fire up the gas barbie in the sunshine. Picnic by the pond. Gather round the woodburner for banter and Barolo. 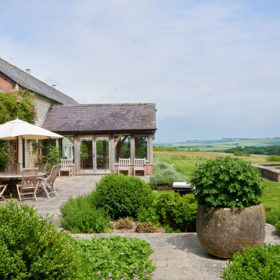 Chalke Valley House is all things to all people. It works for big groups, but with two kitchens and creative bedroom space, you can break it into bite-sized chunks and it’s fine for smaller numbers, too. Walk the quiet countryside. Listen to the silence. Revel in the space. 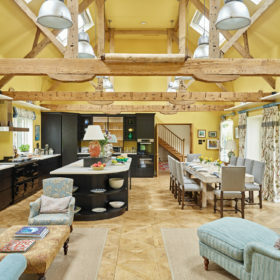 Chalke Valley House is fun on a new scale. Eight acres are yours to wander. 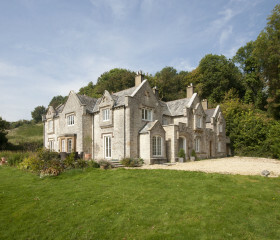 This is Dorset, tamed. 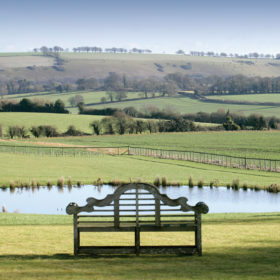 Beyond that, the views across the Chalke Valley reach out to infinity and the silence speaks volumes. Take a picnic down to the pond. Fire up the barbie and pop a cork on a Prosecco out on the patio. Wander the rural silence before dinner. Drink in the heady lavender. Take walks right from the door. Or walkies (two welcome). Watch the birds and the butterflies from beneath the leafy gazebo. 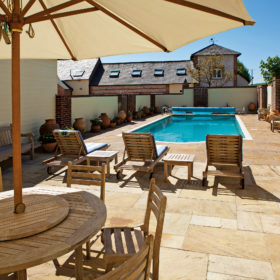 Swim in the Med-style, walled pool, heated to 28 degrees. Sit on the bench, admire the views, savour the serenity. Style and space abound. Ceilings are vaulted and beamed. Larger spaces give way to smaller ones for secret, personal escapes. 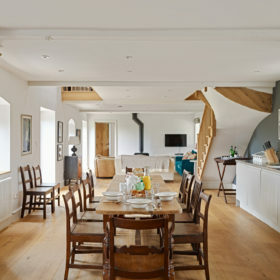 Cosy up with a book by the woodburner at the end of the kitchen. Take tea in the conservatory. 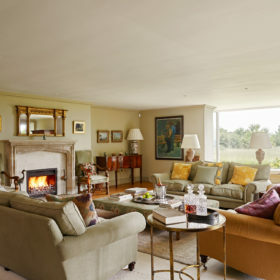 Get far from the madding crowd in the elegant drawing room. 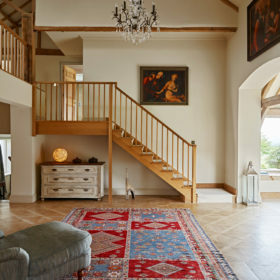 It all begins on entry, with a minstrel’s gallery hung with a sparkling chandelier. 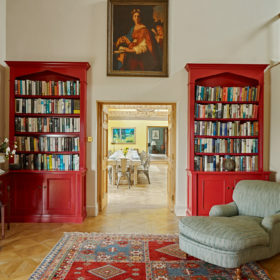 The cathedral-type space opens up, all parquet flooring, antique rugs, books and art. 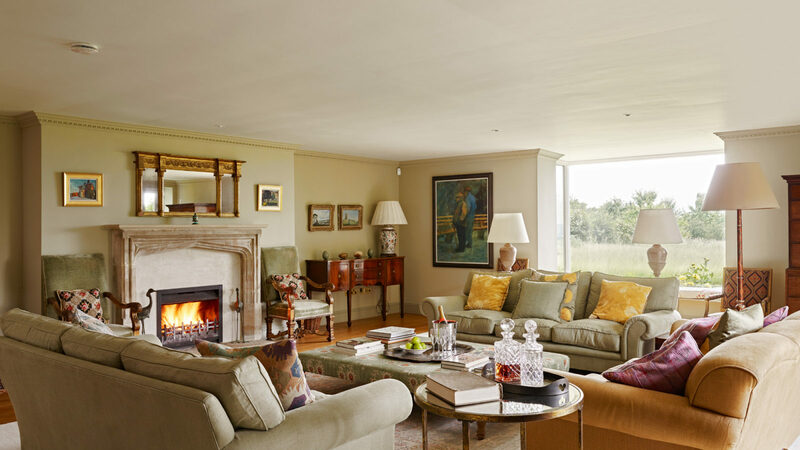 In the sitting room, big sofas await in front of the homely warmth of an open fire. Choose a book or DVD, or negotiate a film on Netflix. 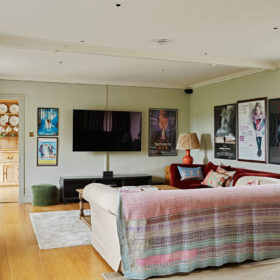 For family films or box sets, the movie room awaits, with its film posters, squishy sofas and 65-inch TV with surround sound. Dim the lights, amp up the noise and break out the popcorn. For streaming and surfing, satellite wifi whizzes around the place at a sprightly 28mps. You can take it easy here, or go hard in the games room. 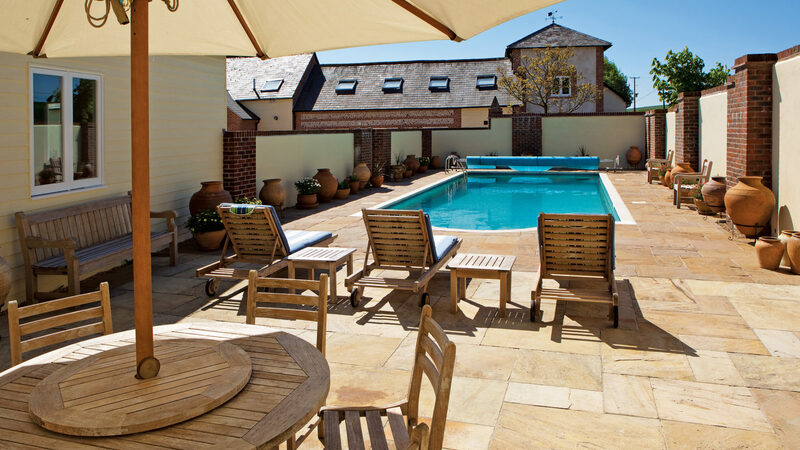 Choose from pool, table football or table tennis. 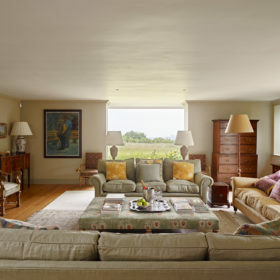 Chalke Valley House is a place where everyone can find their own space and their own rhythm. Two ovens? Heck, we’ve got two kitchens. The first needs its own postcode and the chunky-wood 24-seat dining table could pass as an ocean-going liner. 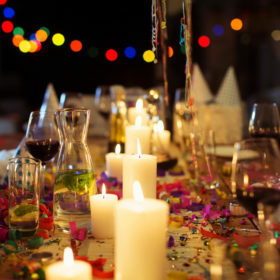 It’s great for getting everyone together, breaking bread, pouring wine and making memories. 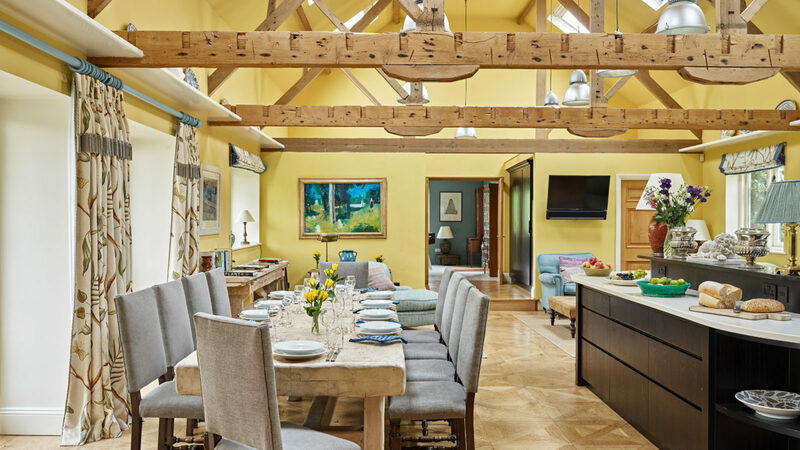 For more-intimate dining, a spacious open-plan kitchen/sitting room has chairs for eight. Prepare your meals on the four-door Aga, two Miele ovens, three induction hobs, seven-burner has cooker and two electric ovens. If that’s not rustic enough for you, the gas barbie stands ready. Lick your lips as you stare longingly at those lovely sear marks. When you’re all done, don’t waste your time washing up. Pile it all into the three dishwashers and settle back with the fruits of the filter cafetieres. If you’d rather we took over, call Sarah from Indulge Catering for a special occasion or fully catered break. Go pubbing at the Horseshoe Inn, The Museum or The Beckford Arms. 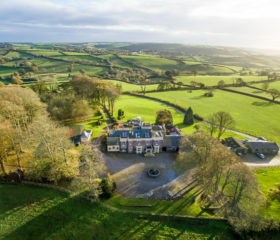 For posher nosh, head out to the Howard House Hotel, for fine food, an inspired cellar and a genuinely warm welcome. Will it be blanquette of Atlantic hake, pan-fried breast of Creedy Carver duck or fillet of wild brill? For true foodies, a tasting menu features ballantine of quail, baked crottin and scallop ceviche. Enjoy. 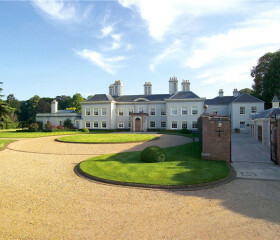 A mere eight bedrooms sleep you and 19 close pals. 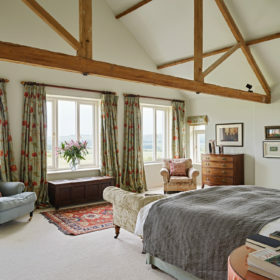 For even more guests, a wide mezzanine between bedrooms six and seven will take a sofa bed. 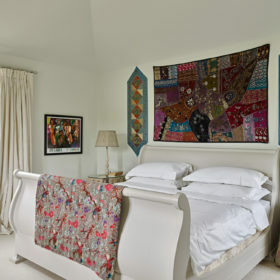 The master bedroom houses a superking bed and comes with an en-suite bathroom with shower and dressing room. It’s the size of an average terraced house. 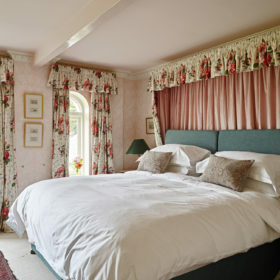 Bedroom two comes with superking bed with en-suite bath and shower and gorgeous brass bed. Bedroom three is also a grand, opulent superking with en-suite shower. 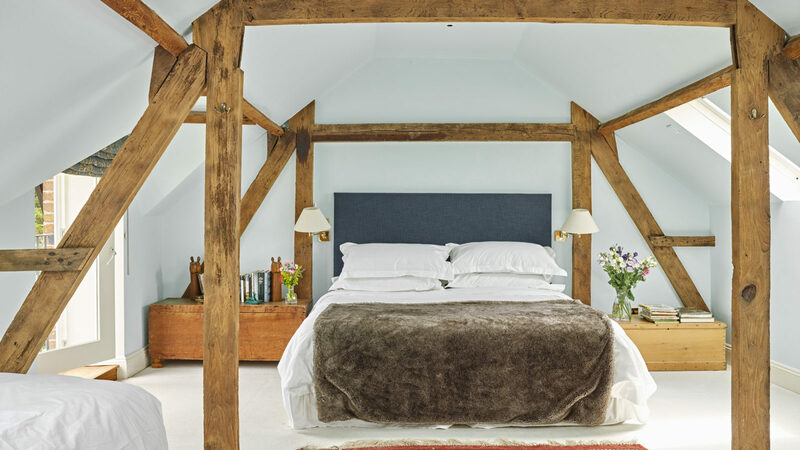 There’s a sense of eclectic calm in bedroom four, which features a superking sleighbed and two singles. An en-suite with bath and shower make it family-perfect. Bedroom five is a superking with two singles and en-suite bath and shower, while bedroom six is kingsize with en-suite bath. 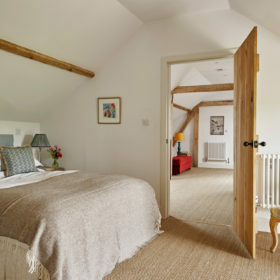 In kid-friendly bedroom seven, there are two singles with an en-suite bathroom, while bedroom eight on the ground floor is an iron-bedstead kingsize with en-suite shower. 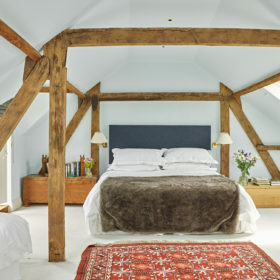 Whichever room you choose, you’ll sink into deep mattresses, sandwiched between soft, crisp linen, with the sound of silence creeping through the windows. 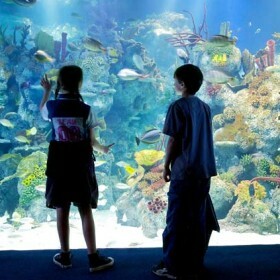 Meet sharks and stingrays at Bournemouth Aquarium, or alpacas and chickens at River Bourne Community Farm. 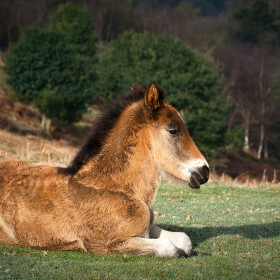 Ride the ponies at Pewsey Vale or the narrow-gauge train at Moors Valley. 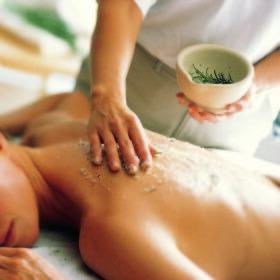 Grown-ups can get pampered at Bishopstrow’s spa, study the Magna Carta at Salisbury Cathedral or Go Ape at Moors Valley. 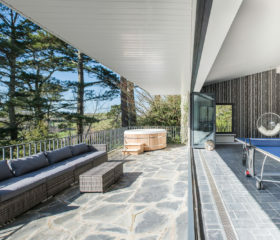 Stunning Salcombe get-together with house-wide terrace and hot tub.